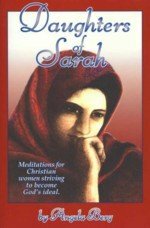 I wanted to start a home business using my computer, but I really had no idea how to begin. I started out with the usual Google search. To be honest, there is so much confusing gobbledygook out there that I was tempted to completely give up on the idea. On top of the confusion, you have to battle the little 'gullibility gene.' I call it that because I think a lot of us are afflicted with the temptation to believe all those get-rich-quick claims we run across. Of course, there are scores of people out there willing to sell us 'the secret' to starting a home business and making the big bucks for only $49.95. The prices vary, the sales pages vary, but the bottom line is the same. "With this simple formula, you could be making thousands of dollars every month with almost no effort." I know how ludicrous those get rich quick claims are, but I can still feel the pull. How embarrassing is that?? Please don't waste your hard earned money or your valuable time chasing after those types of home computer work advertisements. You'll only end up poorer and discouraged. What's MY home business using my computer? Don't worry! 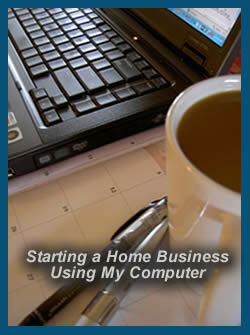 There ARE legitimate ways of starting a home business out there. I prayed quite a bit asking the Lord to show me one, and as always, He was faithful to guide me in the right direction. I ran across a company called SiteSell. SiteSell has a program they offer called SiteBuildIt. 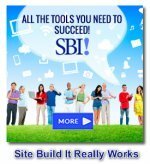 SiteBuildIt (or SBI for short) is really difficult to describe. I could call it a business course because it really is, but it's much more than that. Not to worry. If you happen to be one of the younger crowd who is already pretty handy with a computer, it's set up for folks like you, too. Anyway, the concept behind Solo Build It is that they teach you to build a website about a particular topic or even subtopic (called a niche) that you can then monetize in a variety of ways. They don't just explain what to do and how to do it. They provide you with all the tools, the software, the domain, the hosting, and a whole bunch of training and support so that you actually DO it, and DO IT RIGHT. I challenge anyone to give Solo Build It a fair go for 1 year. That's how long I committed myself to trying it when I started and began building my first site, Chocolate Candy Mall. It didn't take me long to realize this was going to be a real blessing to me and my family. 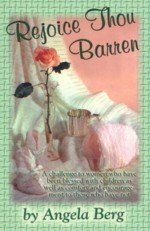 I've built a few other sites since then using Solo Build It as part of my home computer work, but Chocolate Candy Mall, alone, brings me a very respectable extra income each month. So, if you've been thinking of starting a home business, I highly recommend you take the plunge. It's work and lots of it! It's slow going and it really takes time to start generating money. It is definitely NOT get rich quick. But I can say from personal experience with my own home business using my computer, that Solo Build It really does deliver. Don't keep procrastinating. Put in the time and effort and get it done. You'll be so proud of yourself and what you have achieved. You'll have the joy of working from home at your own schedule, and if you're smart, you'll choose a subject you enjoy which will give you added pleasure.